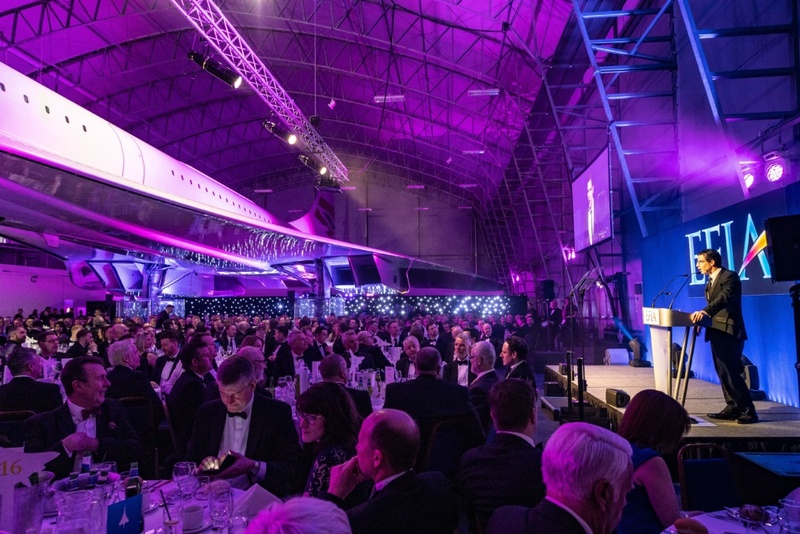 The ceremony, which was held at the iconic Concorde Conference Centre in Manchester, was attended by over 500 guests and hosted by Welsh comedian Rod Woodward. The annual EFIA Print Awards bring together the best and most innovative companies from across the flexographic industry, to highlight print quality, efficiency, innovation, sustainability and technical development. Companies that picked up awards included Contact Originators, Rigid, Parkside, Hamilton Labels, FFP, Ultimate, Roberts Mart and Coveris. Leading the winners were DS Smith and Smurfit Kappa who both took home a haul of 13 accolades, with Interflex Group picking up a total of 6 awards. For the third year in a row, Amcor Flexibles Cumbria, was the overall winner of the event, winning Best in Show for its Kellogg’s Extra Chocolate Muesli pack; Coveris claimed second place in the category, with DS Smith finishing third. Another big winner on the night was Roberts Mart & Co Ltd who picked up three Gold Awards for its innovative work in flexo printing, taking the company’s total to 10 golds in the last four years! Supplier of the Year was handed to Sandon Global who has now successfully won the award, based on an EFIA membership vote, every year since 2015. In its inaugural year, the Environmental and Sustainability award was handed to Earth Inks and Smurfit Kappa for their innovative work in creating a Huggies baby wipes pack. A new addition to this year’s awards was the Innovative Displays during the Pre-Dinner Drinks reception and this was won by Smurfit Kappa. To view all the winning entries or to find out more about EFIA, please visit www.efia.uk.com or contact EFIA on email: admin@efia.uk.com.